Another successful 40 Days for Life campaign comes to a close, and we couldn’t be more grateful to everybody who came out to join us in prayer. 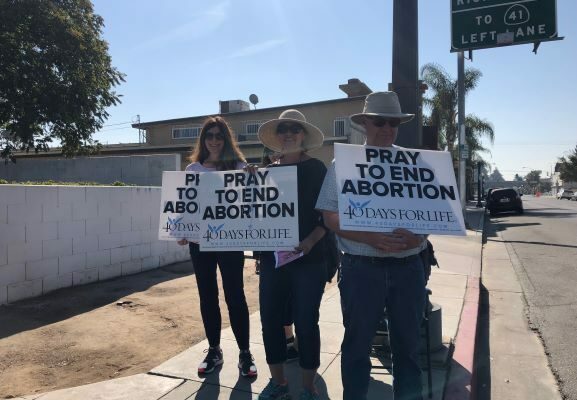 It is not always easy to stand on the edge of the sidewalk in front of Planned Parenthood holding signs and praying. Angry insults and mean hand gestures are common sightings. However, there are days where we meet people who thank us for standing and praying for those women and their unborn babies. Many of these women go into Planned Parenthood because they feel like they have no other choice. There are days where the honking of cars driving by, and the constant thumbs up from strangers make us feel like we are slowly making a difference.There are days where the small victory of having someone stop to accept our flyers of information give us the strength to keep up this fight for life. We were also happy to see some new faces this year, and new groups participating in this campaign. As always, we have our ups and our downs, but we intend to help everyone we can, and hope that even though we can’t be out there 365 days per year, we are helping as many women and unborn children as we can. The national 40 Days for Life website reported that 466 lives were saved in this year’s fall campaign from September 26 and November 4th. We hope that our Spring campaign will be even more successful, and we will be present outside Planned Parenthood for longer hours. If anyone is interested in participating in our spring campaign (starting Wednesday, March 6) don’t hesitate to reach out to us for more information on how you can be involved. Remember that wherever you are, you can help in the campaign of prayer to end abortion! 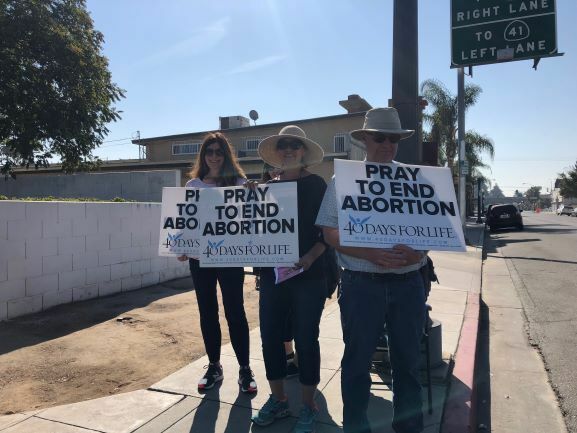 Contact our Outreach Coordinator Tania Gonzalez at (559) 229-2229 ext.104 or email her at tania@righttolifeca.org to sign up for the next Spring Campaign, or if you are interested in becoming a sidewalk counselor.